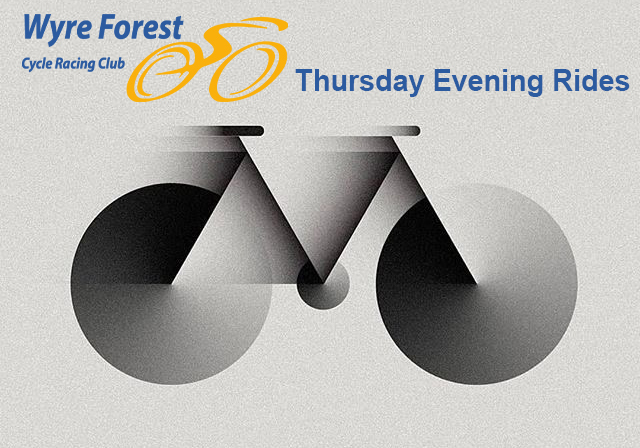 The return of the popular Thursday evening rides starting at Stourport Sports Centre at 7pm. WFCRC started these rides 4 years ago and they have become popular with other local clubs and some teams who use them as training rides. A: A fast paced training ride in excess of 20mph average. Based initially on the following route https://www.strava.com/routes/18090394. B+: A brisk level training ride with speeds between 17-19mph average over 18 miles. Based on this route https://www.strava.com/routes/11925534. There will be an ‘Bridging’ group on this which, as planned, will follow the route but be based on 16-17mph average and getting faster through the summer. B: A steadier ride aiming for 15mph average on a route of around 25km (15 miles). A number of routes are planned for this ride which will be added shortly. Helmets and lights required for these rides especially at the beginning and end of the season as some of the routes feature unlit roads. Organisers will do their best to inform riders of changes to times, road conditions etc but the ultimate responsibility lies with the individual. The A and B+ rides do NOT wait for slower riders. Be aware of this. You should be able to find your way home from any point of the ride and have a bike in roadworthy condition. Youth riders will be supervised at all times. For those wishing to build their speed up in order to join these rides WFCRC club membership will allow access to 2 hours track time on a Thursday evening (plus a host of other benefits that come from being a British Cycling affiliated club).